Governor Ralph Northam announced three regional projects funded through GO Virginia (Growth and Opportunity for Virginia) grants totaling $579,472. 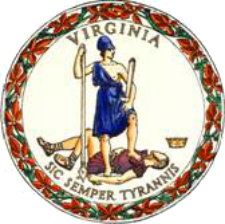 Key members of the Governor’s cabinet, the General Assembly and the business community approved the GO Virginia regional per capita grant funds for projects across the Commonwealth. These grants will fund projects that each area identified as vital to their efforts to diversify the regional economy, strengthen their workforce and support collaborative programs between localities, public entities and private businesses. The GO Virginia per capita grant funds will be used to implement projects that align with each region’s Growth and Diversification Plans. These plans provide an honest assessment of the economic, workforce and structural barriers in the region, as well as the existing regional economic drivers and potential growth sectors in each region. Projects that address these challenges and opportunities are the first step toward the creation of higher-paying jobs in the regions. The regional per capita funding is awarded on a rolling basis by the state GO Virginia Board based on the regional application processes. The first round of statewide competitive grants are expected to be awarded later this summer. The GO Virginia Board approved three projects from three regions. Combined, these three projects will leverage more than $582,000 in non-state sources to assist with economic diversification throughout Virginia. Local governments have committed $210,500 toward the three projects. Welder Training Project $130,000 This project will establish a new welding training facility to offer daytime courses through Rappahannock Community College (RCC) to train adult welders for employment at local businesses. RCC currently offers evening welding courses at the Northern Neck Technical Center, which are at capacity. GO Virginia funds will be utilized by RCC to establish a new satellite training facility that will allow RCC to train additional cohorts with more students per cohort. Region 8: Cities of Harrisonburg and Waynesboro Cybersecurity Workforce Development Project $200,000 The proposed project will implement a new cybersecurity workforce development program through Blue Ridge Community College (BRCC) focused on bringing cyber security jobs to the Shenandoah Valley. The project aims to spur regional growth in the high-wage, cybersecurity industry through the implementation of a new self-paced, non-credit training course. The project will produce new industry credentials (CompTIA Security+) that are not currently offered in the region. Region 9: Madison and Nelson counties Crafting Higher Paying Jobs and Adult Beverage Exports $249,472 The proposed project will create a program through Piedmont Virginia Community College (PVCC) and Germanna Community College to train candidates in wine and cider making, craft brewing and distilling. This program will establish a career pathway in the adult beverage manufacturing sector and will help to facilitate the scale-up of this growing industry cluster for the region. GO Virginia funds will be used to establish two new training facilities and to develop the necessary curriculum.